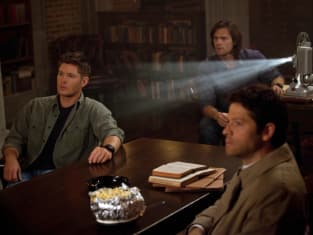 Dean, Sam, and Castiel find something intriguing in this film on Supernatural. "Clip Show" is the 22nd episode of the eighth season. 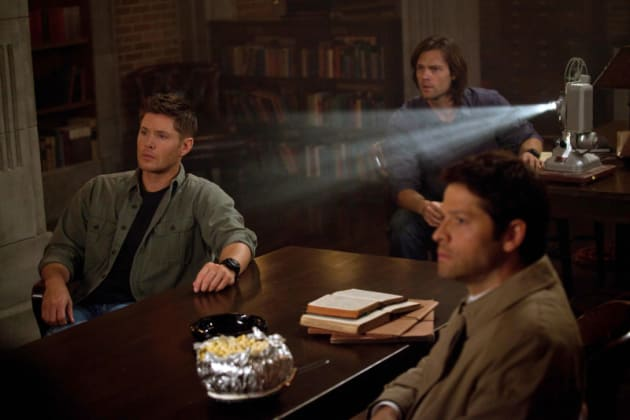 Supernatural Season 8 Episode 22: "Clip Show"
Supernatural Round Table: "Clip Show"